Today I ate lunch at a local fast food restaurant. Hoping for a “quick bite to eat” I was instantly dismayed when I opened the door to the restaurant and saw the line snaking back and forth, three rows deep. REALLY? I thought fast food was supposed to be FAST! As I pondered the irony, I debated if I should get back in my car and venture into the drive through line. One peek out the side window told me that I was probably better off where I was. The line, although long, was moving forward at a decent rate, so I busied my mind thinking about all the things that needed to be done before the end of my work day. It wasn’t until I got to the second row that I started noticing my surroundings. The lady in front of me had coupons, and was chatting animatedly with the man beside her about how excited she was to get a good deal on the food. The man behind me stared off into space, possibly thinking of his own to-do list. A cute little girl, about the age of six, twirled around and around, delighting in the way her dress swirled out with each spin. Just another day in a fast food line. Entering the first row, I shifted my attention to the fast food workers. The cashier was speaking into a microphone, holding it so close to his mouth I wondered how on earth anyone could hear his garbled orders. The drive-through attendants were working their station like busy bees, flitting from one area to another, grabbing, stuffing, bagging. And then I noticed HER. Petite and dark-skinned, this worker was in charge of preparing the dine-in food. She wore a standard uniform consisting of a navy polo with khaki pants. “JAMEKA” was printed across her nametag, announcing to the world who she was in an attempt for customers to feel more connected with the servers. She worked with speed, accuracy, and skill. Paper plates on plastic trays were filled to overflowing with chicken, biscuits, mashed potatoes and more. She not only kept up with the rapid succession of orders, but did so with a grace that showed she knew her stuff. Even when the older lady three people ahead of me changed her order from dine-in to carry-out, Jameka didn’t bat an eye. She simply grabbed a box and transferred the food, even making sure the customer had napkins and condiments before she could ask. I looked her in the eyes and said, “Well, the reason why I asked is because I want to tell someone how GREAT you are! You have handled all these orders so amazingly and I’ve been impressed by your work ethic. Watching you do your job has put a smile on my face and I just feel like your boss, or SOMEONE, needs to know how good you are at what you do!” The smile that spread across her face was reward for us both! “Well, thank you, Ma’am!” she giggled, then turned away to complete yet another order. 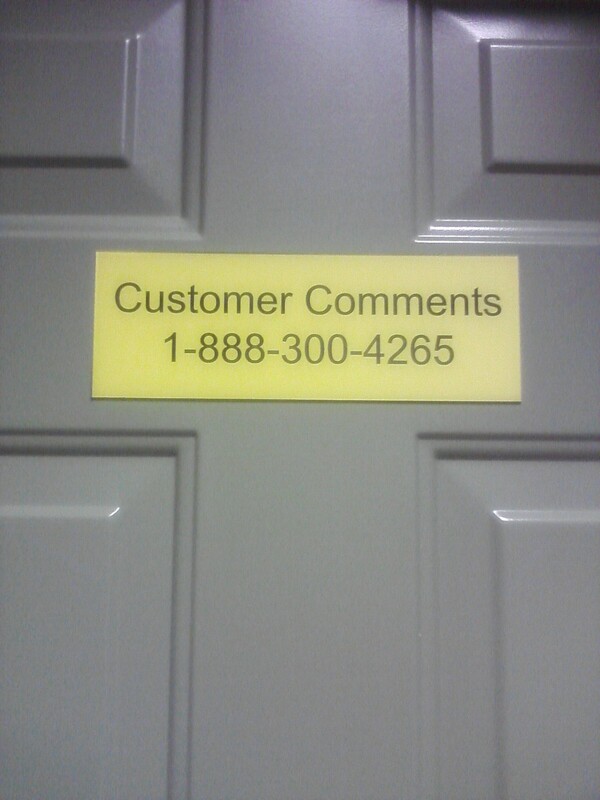 After eating my lunch, I called the number on the receipt, which was also posted on the back of the bathroom door. I spoke with the customer service representative, who was overjoyed to document a PRAISE instead of concern. “We will make sure this is brought to the attention of Jameka’s management team. We want her to get credit for her great customer service today!” The phone call alone gave me chill bumps. I felt like THREE people had been blessed with this act of kindness: the customer service rep didn’t have to deal with an irate customer, Jameka heard first hand how her actions were noticed, and I was practically giddy to share in the joy!